Orchid Clubs and Societies are a fantastic way of gaining a better understanding of how to grow these beautiful and fascinating plants. Contact details for the Australian Native orchid society. 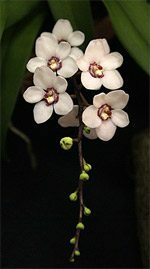 Orchid society of Australia plus orchid society listings in Brisbane QLD, NSW, VIC, SA, TAS. Orchid Clubs and Societies are just one of the many Gardening clubs and Societies that you can join to further your knowledge of Orchids or many other species of plants as well as sharing your own knowledge with a new group of like minded gardeners. Gardening clubs and societies. Orchid societies run field trips where you may be lucky enough to encounter native orchid species such as Sarcochilus (picture right) growing in the wild. Meetings held on the fourth Wednesday of the month at 7:30 pm Kincumber School of Arts Hall on the corner of Avoca Drive & Empire Bay Drive Kincumber. A friendly society for the growing/displaying/learning about orchids. MORNINGTON PENINSULA ORCHID SOCIETY Inc.
Orchid Society meeting in the bayside area of Frankston, South East of Melbourne. Meetings – 1st Sunday of the month at 2.00pm except January. PORT AUGUSTA ORCHID CLUB Inc. In the Port Augusta Garden Club Hall, Elizabeth Terrace, Port Augusta. Guest speakers, regular shared teas (6:30pm) before meeting, Showbench, club seedlings, plant sales, raffle. ORCHID SPECIES SOCIETY of Victoria inc.